The consequences of leaving gutters blocked can be dire with the possibility of extensive water damage or fire risk leading to repair bills running into thousands of dollars. Prevention is better than cure! The cleaning of gutters is a widely needed service but one that many property owners are not sure where to go to for. 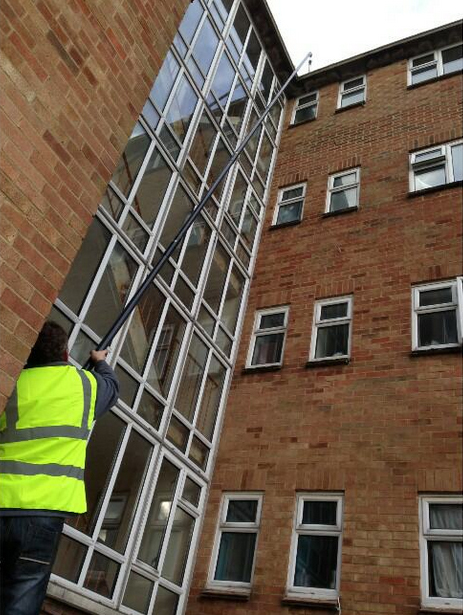 Gutters can be effectively cleaned in a fraction of the time compared to traditional methods with safety risks kept to an absolute minimum. We are happy to arrange a time to see you and give you a free no obligation quote. We are a friendly local company and we will not put any pressure on you to use our services. When we quote we are able to view your gutters with a telescopic viewing pole and camera so we can see exactly what condition your gutters are in - and you can see too if you would like to. Adjacent operations on the same day allow us to operate more efficiently and we are very happy to share any discounts among neighbouring properties.